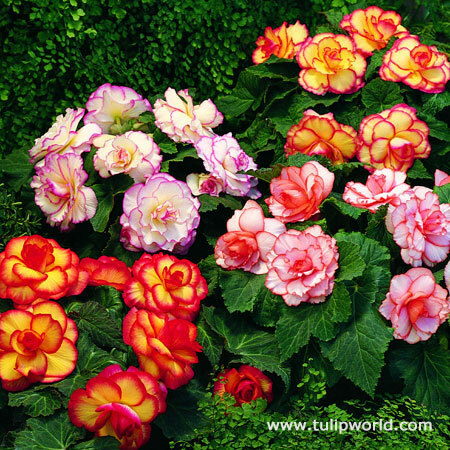 Jazz up your containers and borders with this frilly Picotee Begonias in an assortment of colors. Picotee begonias feature a different color on the edge of the petal than what the main petal color is. This super pack comes with 3 bulbs, which would fill a 10-12" diameter container. Begonias perform best when started indoors, in late winter, we ship all orders containing only begonias starting in the end of February.